Prior to having kids, we only visited Disney a few times. While we enjoyed it, the real fun started when we took our 4 year old twins to Disney Land for the first time. My husband had a business trip to CA, so we joined him. In the morning of the one free day, we decided to go to Disney Land. We did not do any research, had not read any books, or even so much as talked to anyone about what to expect. When we arrived, we realized that you really need to do your homework before you go. There were so many decisions that you have to make that the process became a bit overwhelming. Do you rent a stroller, how does the fast pass system work, how soon do you need to get a seat for the parade, do you need dining reservations, etc. We did not have the answer to any of those questions. While none of this hindered the kids’ fun, it did indicate to us that we needed to do more research before heading to Disney World the next year. Watching how excited the twins got was such a thrill, I was anxious for them to enjoy a character meal, dress up like a princess for my daughter, and become a pirate for my son. All of these required advance reservations which we had not made. The following year we went to Disney World. We read, researched, talked to friends (although this becomes a bit confusing since everyone has their own opinion), and researched on the internet. This took an enormous amount of time. I made some of the reservations, my husband made some, and this process was still over whelming. We had all the reservations in place, and had a wonderful time. However, I knew there was still a better way. The next year we went on a Disney Cruise and also went again to Disney World. We contacted Mouse Magic Travel who made all the plans for us. It was SO easy and the tips that Kristi gave us made for a very smooth vacation. Isn’t that what a vacation is supposed to be! The icing on the cake was the fact that her service did not add any additional cost. Look at all the time we spent that we didn’t need too! we soon signed up to help other families plan their Disney trips. We are going to Disney World again this summer, and I am just as excited as the first time, BUT a lot less stressed! I have been fortunate to have experienced Disney’s Magic Kingdom and Epcot with an older child and now I am experiencing Disney’s theme parks again with our 12 year old twins. Throughout all of these experiences I continue to be amazed and fascinated by Disney’s vision, attention to detail and breadth of entertainment possibilities that range from exceptional animation to 3-D movies to realistic themes that are designed to excite both children and adults alike. 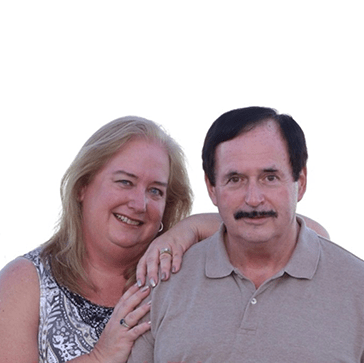 Diane and I want to ensure that our clients experience an exciting, memorable Disney vacation.